Brooklyn Veterinary Hospital in Brooklyn, CT is a full service companion animal hospital. It is our commitment to provide quality veterinary care throughout the life of your pet, to deliver a high level of service to their owners, and our clients, and to provide a rewarding work environment for our employees. We've been helping animals and their families in the communities of Danielson, Putnam and Woodstock in NE, CT, since 1980. Our services and facilities are designed to assist in routine preventive care for young, healthy pets; early detection and treatment of disease as your pet ages; and complete medical and surgical care as necessary during your companion's lifetime. Our goal is to help your pet become an enjoyable member of your family. For dogs under a year of age we offer two levels of FREE socialization and behavior classes. 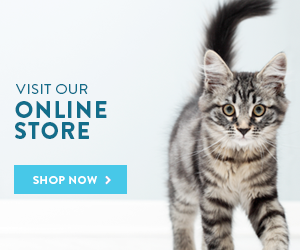 Our goal is to help your pet become an enjoyable member of your family.